You can set an assistant/secretary email to help your attendees to get all the information about the event. 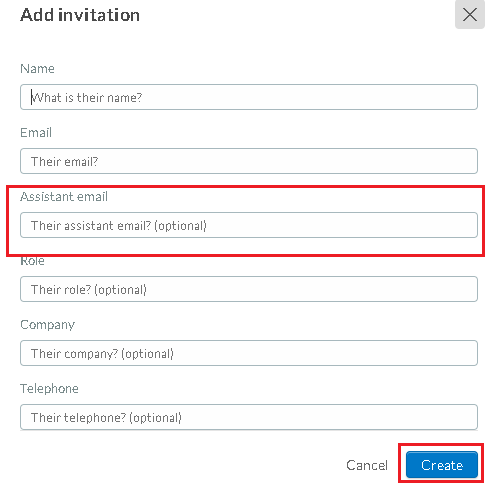 If an assistant or a secretary manage your attendee's mail, you can now add their e-mail address to receive the communication of the event. 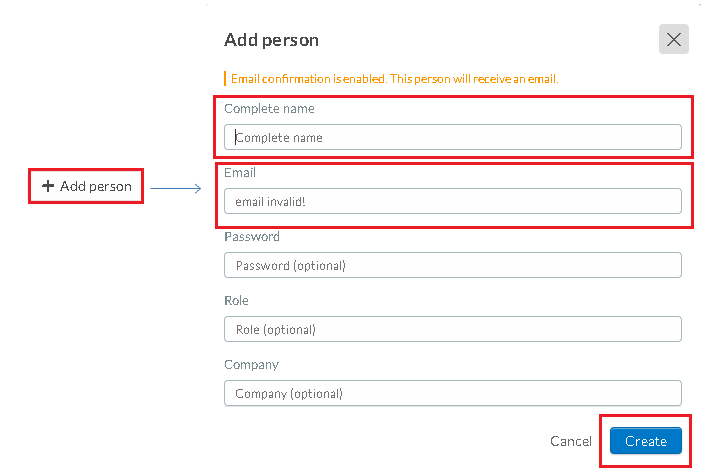 Press the ADD PERSON button, fill out the persons information ( name and email are mandatory).Once you are done, click on the blue CREATE button. In the top right corner press the EDIT button. Then click on the attendees name and a new window will open up on the right side. 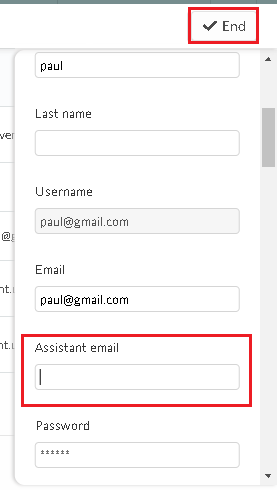 Scroll down to 'Assistant email' Enter the assistant email address, then click the END button in the top right corner to finish editing. The assistant email will now appear on the attendees column as show in the image below. You can also add the assistant email using the spreadsheet. Just download the demo excel file by clicking on EDIT at the left corner and then click on IMPORT. After the download, you will see a column called assistantEmail. You will be able to add the information at this space. 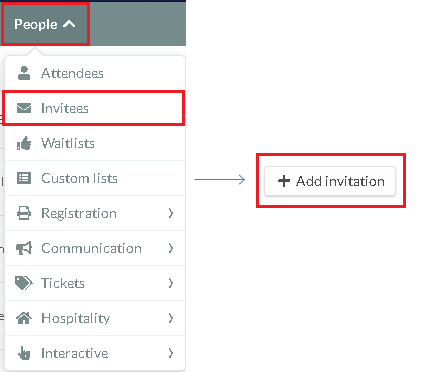 Press PEOPLE > INVITEES Then click on the +ADD INVITATION button. Fill in the information, including the assistant email. Then click the blue CREATE button. The image below will show you how the information will appear. 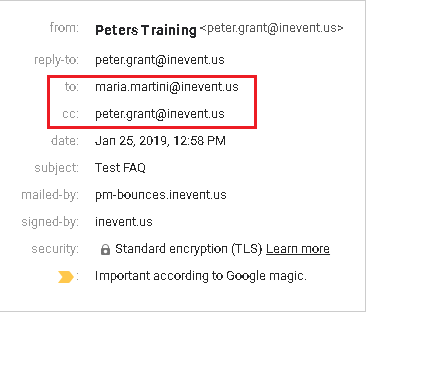 Now all emails will be received by both addresses as shown in the image below.